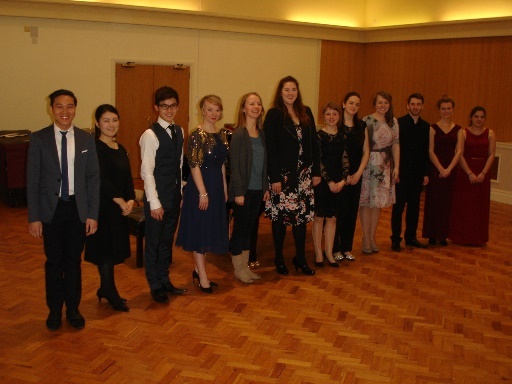 The final of the sixth Courtney Kenny Award was held in the Recital Room at Tonbridge School on the afternoon of Sunday 15th March. The panel of judges comprised Courtney Kenny, Sarah Leonard, Jane Roberson and Stephen Varcoe. The winner of the £1000 first prize was Charlotte Yeoman, a student of Marilyn Rees at the Guildhall School of Music and Drama. The runner-up was Milly Forrest, who studies with Kathleen Livingstone at the Royal Academy of Music. Also from the Royal Academy was the third place winner, Hannah Poulsom, a student of Elizabeth Ritchie. 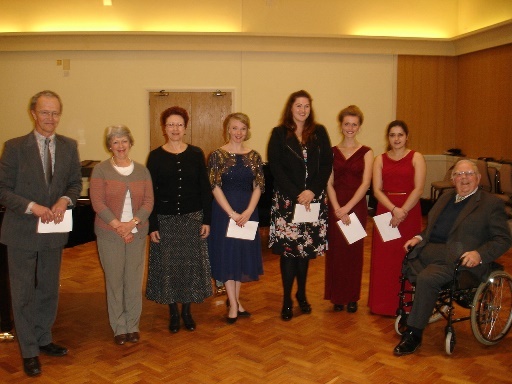 Milly and Hannah won £500 each as did the winning accompanist, Melina Karagiannis. Thanks are due to the panel of judges and those who selected the six finalists at the preliminary round, Tonbridge Services for their help with the final, Judy and Mike Hildesley for the loan of their house for the preliminary round and Stephen Miles for his co-ordination of the competiton. Chairman of the AESS, Graham Trew, in charge of events on the day, thanked Courtney Kenny, especially, for his continued sponsorship of the competition. This entry was posted in Past Events on March 26, 2015 by AESS.